What’s your go-to workout after a long day at the office? 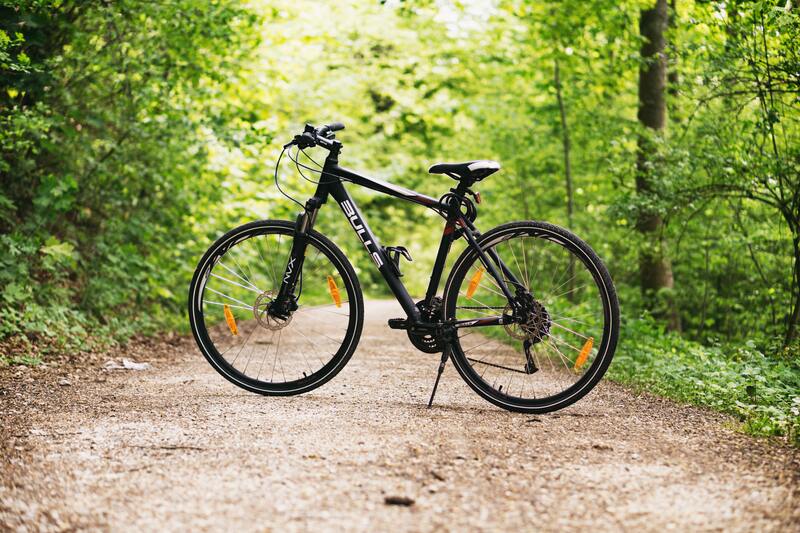 If you ask us, the best way to get your heart rate up is to hop on your bike and explore one of the awesome bike trails in the neighborhood around your community of apartments in Westover Hills! There are a lot to choose from, but we’re going to help you figure out which trails are worth your time. In the blog post below, we’ll be telling residents about some of the most popular trails in the area around Echelon at Monterrey Village. If you’ve been using your bike every day this year, great! If you’ve been looking for a reason to get it out of storage, we think that the trails on this list will be all the incentive you need. Now that we’ve gotten the intro out of the way, let’s jump right into this week’s blog! Oh, and when you’re done reading through the blog post below, please feel free to share it with your friends. Better yet, go ahead and share it with your neighbors at your favorite community of Westover Hills apartments! The first trail on our list is ideal for cyclists who like to soak up the sounds of nature while they ride. The Leon Creek Greenway is an extremely wide, extremely green trail that seems to be surrounded by chirping birds at all times. If you decide to take this trail, you’ll be rewarded with that elusive feeling that you’re in the middle of nowhere. If you’re looking for a challenge, head straight to the Medina River Greenway and bring some extra motivation. There are two decent sized hills that you’ll have to conquer if you want to finish this 7-mile trail. You won’t have to deal with a rocky trail or anything because the bike path is paved with concrete, but you should be prepared to get those pedals pumping on the inclines. Good luck out there, residents! The last spot on our list is good for cyclists who would rather have an easy, short ride than a ride that makes them sweat. The Brackenridge Park Conservancy features a couple 1.5-mile trails that loop around notable San Antonio attractions like the San Antonio Zoo, the Japanese Garden and the Sunken Garden Theatre. Give this place a shot, residents! With that, we’ve reached the end of our list of our favorite bike trails near Echelon at Monterrey Village. As always, we greatly appreciate those of you who have been coming back week after week to read all the latest brand new blogs from our apartment community! We’re thrilled that so many of you have found these blogs to be informative and entertaining, and we encourage you to come back in January to read our next post when it goes live on our website. Above all else, however, we hope that you enjoy some of the bike trails on the list above! We’ll have another brand new blog live on the website in a couple of weeks. If you feel like you learned something from this week’s post and you want to see the next one right when it goes live in January, we encourage you to bookmark our blog page! There’s no faster, easier way to ensure you’re always among the first to read upcoming blogs when they’re posted. In the time between now and then, you can follow us on social media to keep up with everything going on at Echelon at Monterrey Village! That way, you’ll always be in-the-know when it comes to upcoming resident events, special giveaways and promotions happening at your favorite community of apartments in Westover Hills.